We are, I believe, in the midst of a renaissance in cannabis literature. 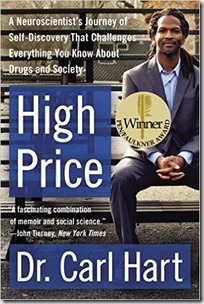 In today’s blog I focus on three books published in 2014: High Price: A Neuroscientist’s Journey of Self Discovery That Challenges Everything You Know About Drugs and Society, by Carl Hart; Cannabis Pharmacy: The Practical Guide to Medical Marijuana, by Michael Backes; and Stoned: A Doctor’s Case For Medical Marijuana, by David Casarett. These works are written by a new, professional generation of activists with a mission to educate; they provide clues to cannabis conversations in the rarified world of doctors and established medical cannabis consultants. The books are not entirely comparable. Hart’s work is on the nature of addiction, and touches only lightly on cannabis. 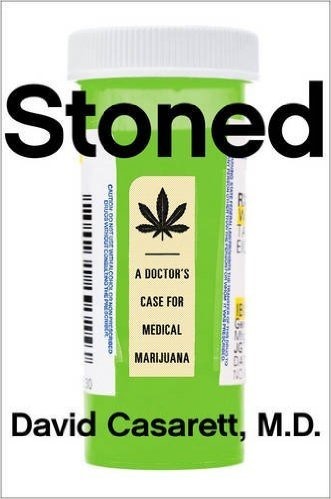 Casarett’s work is on cannabis as medicine. Both are written in narrative style, and both are accounts of personal journeys. 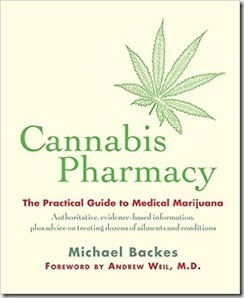 Backes’ Cannabis Pharmacy is not a story, but rather a reference work, and is similarly focused on medical applications. This is the book you’ll want to give to your doctor. I embarked on this reading to tune into elite dialogues on cannabis, and also to broaden my knowledge of cannabis science. At the risk of boring well-versed readers, I’ll describe as we go along, the information in these books that was entirely new to me. I’ll start with the subject of addiction. Why addiction? Well, because when dealing with opponents of cannabis legalization one is bound to collide with the topic. Besides, it has to be said that for every enjoyable activity, some of its fans, to their personal chagrin, will love it a bit too much. There is much be gained, thus, from exploring the territory. Each of the books adds something to the theme. HIGH PRICE. 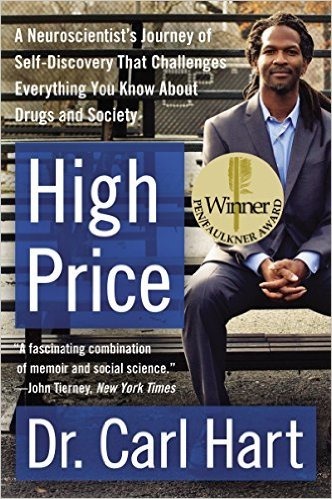 Carl Hart is associate professor in the departments of psychology and psychiatry at Columbia University, in New York City. For mainstream science, he tells us, illegal drug use is always pathological. There are no scientific studies on people who enjoy cannabis, cocaine, methamphetamine, or heroin, and otherwise live good, productive lives. Yet 75% of all illegal drug use is just like that: normal, controlled use. For cannabis, I add, that number is over 90%. In the absence of understanding normal use, this science is unable meaningfully to explore why some go overboard. In keeping with its narrow approach, the scientific community’s studies on addiction focus almost exclusively on neurotransmitters, dopamine in particular, and on fMRI technology, that is, on which parts of brain scans light up in response to which substances. Wikipedia, a good example of this outlook, defines addiction as a “disorder of the brain’s reward system,” the disease of a brain too dependent on dopamine rushes. Predictably, some researchers are on a path to find genetic markers that can identify the susceptible. Let’s please legalize cannabis before that work is completed. I don’t fancy genetic pre-addiction testing. It is senseless, Hart argues, to look at internal brain reward systems with no reference to the incentives and rewards that individuals receive in their social lives. 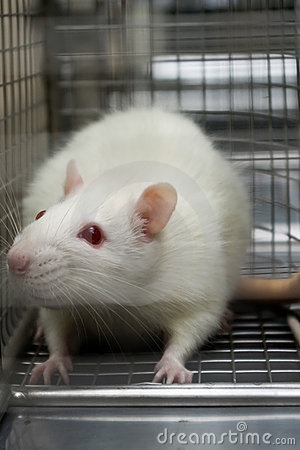 Hart cites the work of Canadian psychologist, Bruce Alexander, the inventor of “rat park.’’ For decades, psychologists have observed what caged rats do when offered cocaine or other drugs. They always over-indulge, thus ‘proving’ the drugs’ addictive qualities. 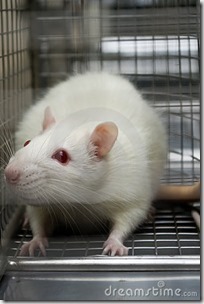 Recognizing the rat as an intelligent creature, and the cage as a dreary place, Alexander created a setting where the rats could play, socialize, and live natural lives. The rats in the park were not interested in drugs. They had social reward systems. Hart, who grew up in poor black neighbourhoods in South Florida, understood that poverty is profoundly isolating. His account demonstrates how impoverished families struggle with survival, and cannot provide the incentive and reward systems that nurture success in schools, and in constructive projects. According to the DSM, the bible of mental disorders, if you persist in some activity even though it is destructive to you, you’re addicted. But as Hart suggests, many of us experience this kind of addiction. We persist in destructive relationships, for example, or remain in toxic work environments—a sobering thought. I might add, by this definition we should call deadening work places, places of addiction; and political activism that results in frequent, negative contact with law enforcement, a brain disorder. STONED. David Casarett is a physician, researcher and professor at the University of Pennsylvania’s Perelman School of Medicine. He began his journey as a non-believer, or at least an agnostic on cannabis as medicine. Part of that journey took him to addiction researchers Teri Franklin and Marina Goldman, who, in high biological style, tell stories of addiction much like the limited, fMRI-based accounts that Hart describes. To Casarett’s credit, he balanced this visit by seeking the opinion of sociologist Steven Lankenau, a student of medical marijuana culture. Lankenau’s view is that clinics and dispensaries are relational, and that the relationships developed there modify how cannabis is taken and experienced. In settings of this kind, he suggests, addiction is unlikely. More thoughtful than the standard science community, Casarett does not ignore the effects of social settings. 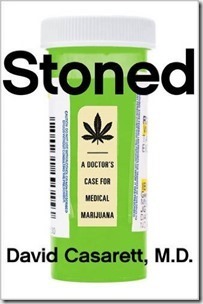 For his book, Casarett visited patients, researchers, and makers of hash, oils, budder, and brownies. In the process, he came to the view that cannabis is effective for treating insomnia, nausea, anxiety, neuropathic pain, and dementia. To celebrate this conclusion, I think, he provides readers with his favourite brownie recipe. On the more controversial issue—treating cancer with cannabis oil—Casarett interviewed renowned oncologist, Donald Abrams. Abrams noted that ‘cure’ generally means ‘cancer-free for five years.’ Most people haven’t had access to concentrated oils for that long, so their story is yet to be told. Still, by Abrams’ account, cannabis oil has been shown, at least in animal studies, to slow the growth of lung cancers; to prevent cancer cells from building the blood vessels that feed them; and to block their ability to grow and migrate. As a cure, it’s just an unknown at present. But Abrams cites more potential for cannabis than Casarett ever expected to hear. I learned from Casarett that for each person, the configuration of cannabinoid receptors, CB1 and CB2 as they’re called, is unique. Even if we master the art of exact dosing, currently a challenge, cannabis will still not be absorbed identically by any two bodies. A trial and error approach to dosing is probably here to stay. Fortunately, patients are good at figuring out their own doses, at least for pain, spasticity, and other palpable ills. Unfortunately, dosing for ailments like cancer may remain elusive for some time. I learned as well that the future does not look good for synthetic cannabinoids, something pharmaceutical companies will certainly want to produce. Synthetic molecules are shaped differently from natural ones, and will not lock onto receptors in the same way that natural cannabinoids do. They may even lock onto alternative receptors, like those in the brain stem, for example, resulting in a drug for which there is a lethal dose. There’s a scary prospect—phony cannabis that kills. Casarett ends his book with a call for crowd-sourced science—the people’s science, as he calls it. There may never be a formal field of medical research on cannabis, as funding for large-scale studies on whole plant medicines is not the norm. But there is a crowd of small researchers, patients, and practitioners out there, and its members are connected. Casarett follows Abram’s view that if we legalize the plant, and regulate it, the medical evidence will emerge on its own. CANNABIS PHARMACY. Michael Backes is active with Project CBD, and is a cannabis consultant. In Backe’s view, cannabis dependency is rare except among the heaviest users—about 9%, with medical users at less risk. He provides the following description, entirely new to me. “When a cannabinoid like THC interacts with a CB1 receptor, it induces the release of opioid peptide molecules, which activate mu-opioid receptors.” Tobacco and alcohol do the same. There seems to be one primary brain receptor, thus, that underlies all addiction. If that’s not an encouraging fact, it’s pleasingly Zen. I learned too that CBD does not bind to cannabinoid receptors, but rather to a variety of others. In this manner, among other functions, it slows down the re-uptake of anandamide, and induces the release of 2-AG, both endo-cannabinoids—the cannabinoids our bodies produce. In this way, contrary to popular report, it is mildly psychoactive. We must never explain this fact to the recently converted proponents of CBD, who see it as the good, and morally upright part of cannabis, the part that “doesn’t make you high.” It may not get you high, but it’ll certainly make you mellow. 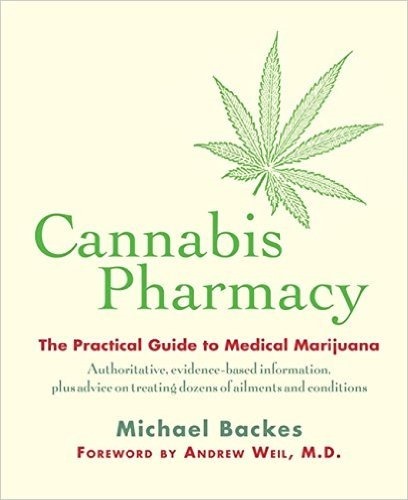 In Backes’ reference work you’ll also encounter cannabis history, cannabis strains, a list of illnesses treatable with cannabis, the various methods of inhaling and ingesting cannabis, and much cannabis science. 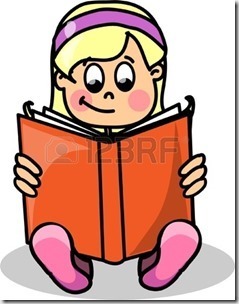 This is the book for your home medical library. These, then, are the recent additions to my activist’s toolkit. I leave with an observation. For reasons that are surely economic—no one wants to think about poverty and social isolation—rat parks have not taken the scientific community by storm. One doesn’t find many references to them. Carl Hart’s colleagues at Columbia don’t seem to be building them. This lack of social perspective constitutes an impoverished, institutionalized ‘inner rat cage,’ and bodes ill for the future of university and other large institution-based research. I’ll cast my vote for “the people’s science.” It’ll lead to far better policy. RIGHT ON GOOD JOB DR!!!!!!!!!!!!!!!!!!!!!!! !